Face it. As soon as you master a new online marketing rule it becomes passe. That is because of the sudden shifts that search engines employ in the online landscape to keep up with technological breakthroughs and innovations and in consumers’ adoption of such new devices and sites. In addition, they like to continually tweak search algorithms to meet customer needs for greater accuracy in their search results. 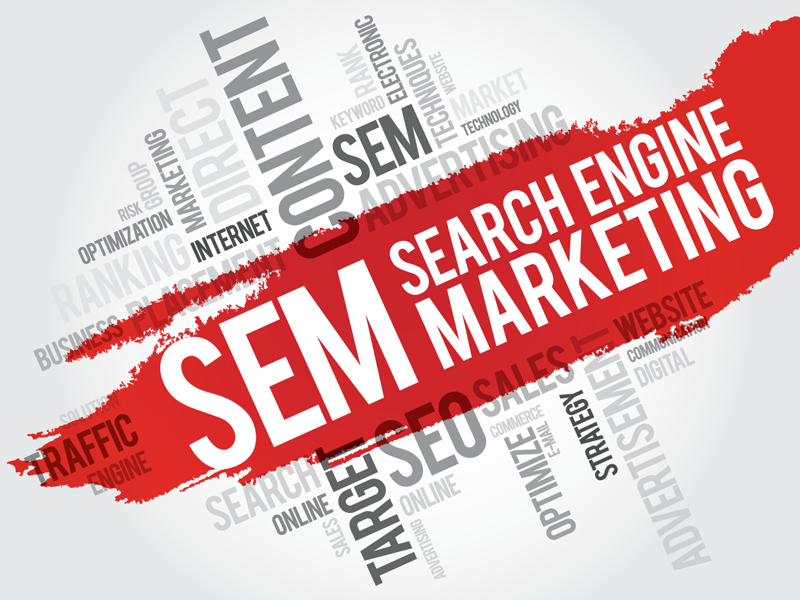 Search engine marketing remains the way to reach customers. It used to be that keywords alone were necessary to feed consumers’ voracious appetites for finding useful information. These days, search engines are savvier and smarter, thankfully. It whisks the control away from the website owner because they no longer have a say in what results their site will appear based on the happenstance of keywords anywhere on a page. Yet, it also means that no longer are you stuck putting your efforts toward writing for a robot, which needed plenty of insistent — four or five — reminders about the topic in the headline and throughout a piece. Did you know that mobile-friendly marketing is more important than ever? It will translate to 88 percent better response than a poor mobile experience. That’s because people are increasingly using mobile devices to get online for everything from performing quick Internet searches to sharing selfies on their social media to posting and watching videos. More than 60 percent of people hop online from a mobile device these days. Make marketing mobile-friendly or perish! Even people who are sitting at a desk working at the office, are expecting more savviness from their searches and when they put on the hat of a consumer looking to buy goods online. Search engine marketing has to be able to meet so many needs while being available to engage consumers and potential customers on many levels and many devices. First, let’s review the latest and greatest search engine marketing rules for the year. For one, search engines are getting better at guessing what people’s intentions are when they conduct searches. It is no longer a robotic search for a match on exact or even slightly similar keywords or phrases that are driving results. Keywords at this point are a hint for the search engine about what people want to find. The rest is up to the search engine’s discretion. Fortunately, they are much smarter than ever. What Increases And Drops In Importance? Paid links are more than half as valuable as they used to be as is anchor text. Nix it, ignore it or scratch those efforts. Dwell time, importance or value of a site’s information and readability of sites are also of great importance in the land of SEM nowadays. The originality of content is going to trump how-tos or lists as well. For writers and marketers alike, a collective sigh of relief is spanning the globe on this one. For instance, while everyone loves a good how-to on unclogging a drain, if you only have those types of pieces, your site’s rankings can suffer for it. The reason is that there is not much originality to unclogging a drain or the concept of doing it. It is not a new idea to most people either. While mobile-friendly matters and people are embracing video, they are also choosing the longer articles that span the 1200 to 1500 word count. That is a far cry from recent years when 700 words or 300 words were considered the maximum ceiling of good judgment and social etiquette. While it is much easier to pull a stock image into a site than to take an original photo or make original artwork, consider the latter better practice right now. Yes, search engines are judging the rankings on originality of images. Reading through this list, you might begin to imagine that you can easily tweak your present site, and maybe expand some shorter blog posts to the mammoth 1500-word count, while taking some original photos to pair with them. That is all well and good, but there is one number from this whole list that jumps out at you. It is the 88 percent better response for providing a rewarding mobile experience. The other added bonuses to focusing on mobile is that it brings up other good practices that increase user engagement, social media reach and mentions while giving your users something to look at on their mobile devices — video. A mobile device is best reached by making adjustments to a site’s design. CSS3 HTML5+ let you remove width parameters, move elements around a gridline to know what will make the cut no matter the size of a screen while allowing images to be of optimal size. That prevents having to develop a separate mobile site. They are inhibitive and drastically reduce site ranking because they are traditionally bad at adapting to all devices and also provide sluggish load times. The search engines are increasingly looking at the online reputation of a company based upon signs of credibility. Mentions on social media, along with having social media accounts that are actively engaging the public are just some ways this is established. Mentions on other sites help, along with customer or reader comments in your website’s comments field or in forums. Those all give the search engines the confidence to send traffic to your site. If you want to measure how customers find your site, and 60 percent use phones, make a QR code to accompany all marketing collateral. Run text campaigns to get interested customers to engage you as a text subscriber. This way you can inform them o f sales, news, and information. Consider giving them coupons or discounts and an entry for a contest to entice their signup. The mind blowing part of this whole piece would be to see how much this advice changes over the course of one year. The reason is that Google makes close to 500 algorithmic changes to improve its searches every year. See how much your clients’ conversions improve by implementing the most vital of all of these rules for 2016.